The July newsletter is posted! To see the rest, click on our Newsletters tab. 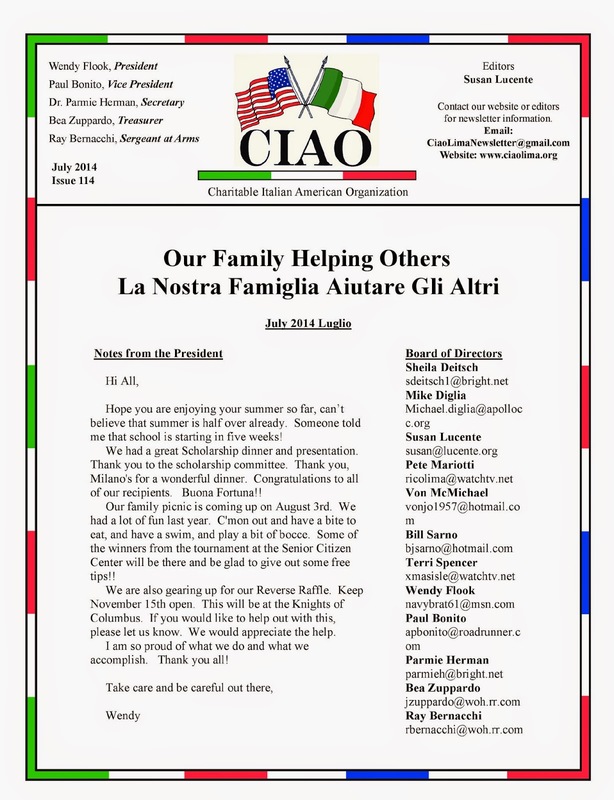 CIAO Members, family picnic THIS Sunday!